It’s time for the 2018 Reliable Plant Conference & Exhibition and this year it’s being held in our favorite city -- Indianapolis! We know this city pretty well, so we wanted to offer you some recommendations for restaurants and places to visit in our fair city. Keep reading to learn about our favorite spots in Indy. First and foremost, Hy-Pro would like to offer its most important recommendation of all, and it has to due with providing the fuel that powers most of us -- coffee. Downtown Indianapolis is bursting with outstanding local coffee shops. Since you’ll be in and out of the convention center all week, you may want to get your first hit of coffee at Bee Roasters, located directly across from the convention center. Hubbard and Cravens, a local roaster and craft coffee shop in Indianapolis for over 27 years, is just a few blocks away from the convention center on Meridian St. For the early risers, these are great places to start your day in Indianapolis. Wander off into two of downtown’s cultural districts, Mass Ave or Fountain Square, and you’ll find even more places to check out. Mass Ave’s Coatcheck Coffee is located inside the historic Athenaeum, a small but adept shop that offers gourmet coffee and pastries. For something a little quirkier, try neighborhood coffee shop Calvin Fletcher’s. The coffee bar and food at Milktooth are real standouts, having been rated one of the best restaurants in the world (that's right -- the world). Both are located in the Fletcher Place/Fountain Square area. For those coming into town on Monday, April 16th, for pre-event registration, that may not be participating in the pre-conference workshops, you will have the best opportunity to enjoy one of the city’s most popular places for lunch. Goose the Market is a local butcher shop that offers prime cuts of fresh meat and farmstead cheeses, all locally sourced. While you’re there, try out their genius deli sandwiches, grab a craft soda or a cup of gelato. They also feature a unique offering of smoked and cured meats, pick up their lamb jerky, Saucisson Rouge or South Cider Salami if you want to pack your pockets with a snack for later. For another option, head over to Mass Ave to check out The Eagle, a trendy joint featuring delectably crisp fried chicken with house-made spiced honey to pour over it -- and it comes with all the family-style fixins you could want. Lunch is probably the best time to visit this spot as it stays packed in the evenings. Tuesday, April 17th, officially kicks off the Reliable Plant Conference, and after the keynote presentations end, the Exhibition Hall will open up and there you will find Hy-Pro, front and center, literally. Hy-Pro will be at Booth #302 at the front of the hall, so please stop by and introduce yourself. We’ll be happy to talk about any questions you have and possibly toss you an extra drink ticket for the Hy-Pro-sponsored meet-and-greet that evening in the exhibit hall. This meet-and-greet event has been sponsored by Hy-Pro for the past 5 years and is one of the staples of the NORIA show, giving everyone the opportunity to network and get to know people who may be in different fields but do similar work. At the event’s conclusion, stomachs will surely be growling. Instead of sifting through Yelp reviews to find a restaurant, let us suggest a few. For dinner, and possible team building, there are two places within walking distance to the convention center and hotel that are perfect. First is Scotty’s Brewhouse, an Indiana-grown traditional sports bar that offers plenty of space to belly up or spread out while choosing from several different beers on tap. The second one is Kilroy’s Bar N’ Grill, where sports bar meets BBQ joint. Kilroy’s proudly serves Memphis style BBQ, and is home to the “Original Stuffed Breadsticks,” a garlic-coated delicacy bursting with cheese and pepperoni, as well as burgers, pizza, wraps and salads. Both of these places offer a great atmosphere, fair prices and are close enough not to get lost on your trip to or from the hotel. For folks who don’t mind a short car ride (less than $10), Hy-Pro recommends not just one or two restaurants, but a whole section of the city, Mass Ave. As we've mentioned above, Massachusetts Avenue offers some of the city’s most popular and exciting restaurants and bars, and with a diversity of tastes and atmospheres, there really is something for everyone. Bakersfield offers Mexican street fare as well as over 100 tequilas; Union 50 is a chef-driven restaurant and bar that provides an innovative American menu with high-end drink options in a industrial-chic surrounding; while The Rathskeller, set in the historic 19th century Athenaeum Building, offers authentic German food and beer in an atmosphere that is reminiscent of both a lively beer hall in Munich. For those who prefer the taste of home, try Rooster’s Kitchen, which is a homestyle restaurant that offers made-from-scratch food, that is sure to stick to your ribs, in a casual atmosphere. As your time with us winds down, we hope that you have the opportunity to not only taste the city but to also see it in all its beauty. The best way to see the city when you are visiting is the Indianapolis Cultural Trail, which is a bike and pedestrian path conveniently located directly outside the hotel and convention center. 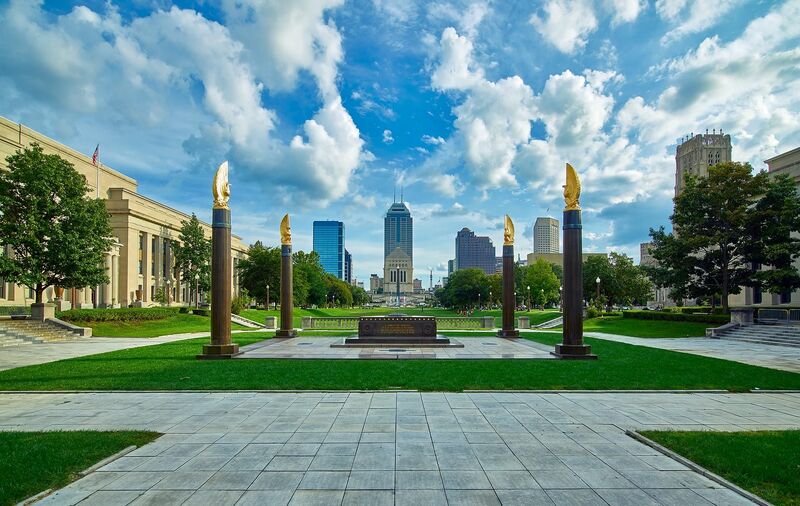 With over eight miles of local art, interesting landscaping and amazing architecture leading you through six different cultural districts, you can’t help but take it all in and appreciate the many sights, memorials, museums and people that Indianapolis has to offer. If you’d rather bike than walk, you can hop on a bicycle from the Indiana Pacer’s Bike Share, which has several stops to pick up or drop off a bike on the trail. We hope you enjoy your time with us in Indianapolis, and we look forward to seeing you at the Reliable Plant Conference & Exhibition. While you’re visiting, we look forward to addressing any questions, concerns or inquiries that you might have. At Hy-Pro we are here to help, whether that’s by preventing downtime, saving money, or even finding a good place to eat. From us to you, enjoy Indianapolis. Have a question? We're here for you.